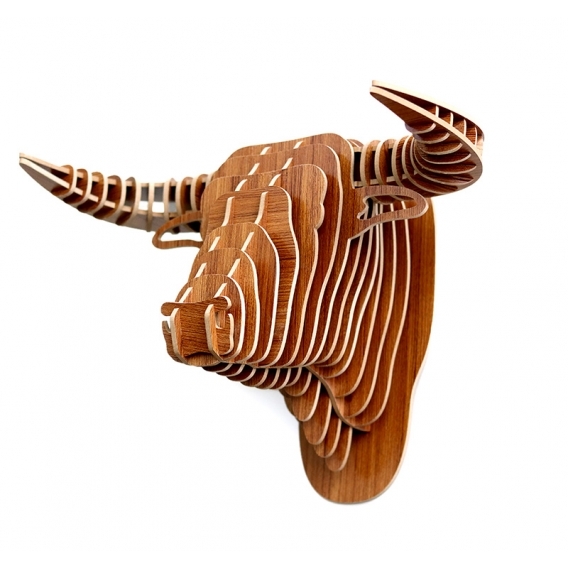 The impressive and famous buffalo on an animal wall decoration ! The dimensions of this wall trophy are 40 x 50 cm. Delivered free as a kit, this wood wall decoration is easy to put together. 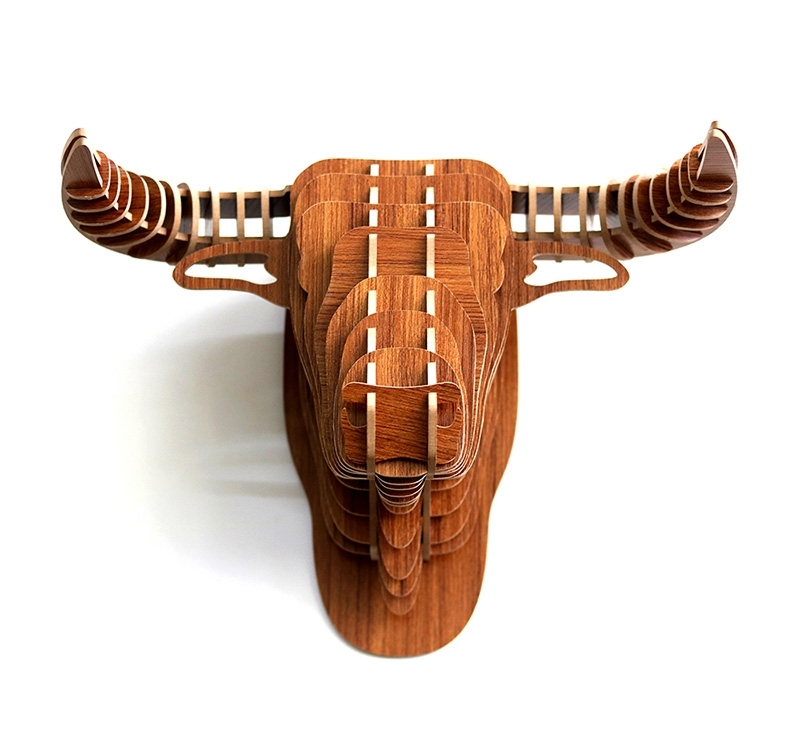 Artwall and Co proposes you a collection of deco animal heads keeping with the times. Entirely hand made, these trophy-like modern wall decorations will be perfect to bring a touch of nature to your interior. 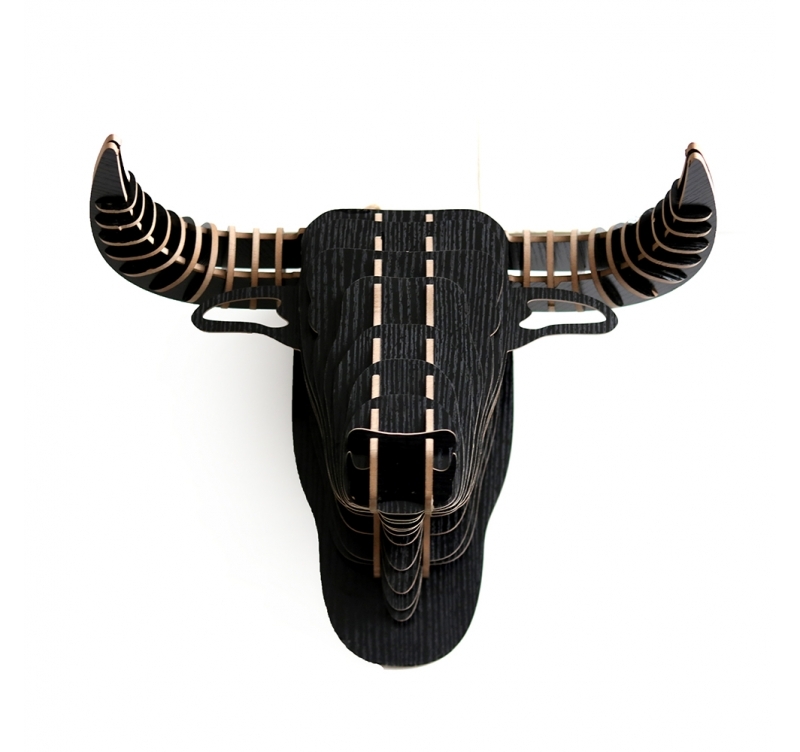 Here an impressive buffalo comes as a lounge wood deco to be hung up on one of your walls. 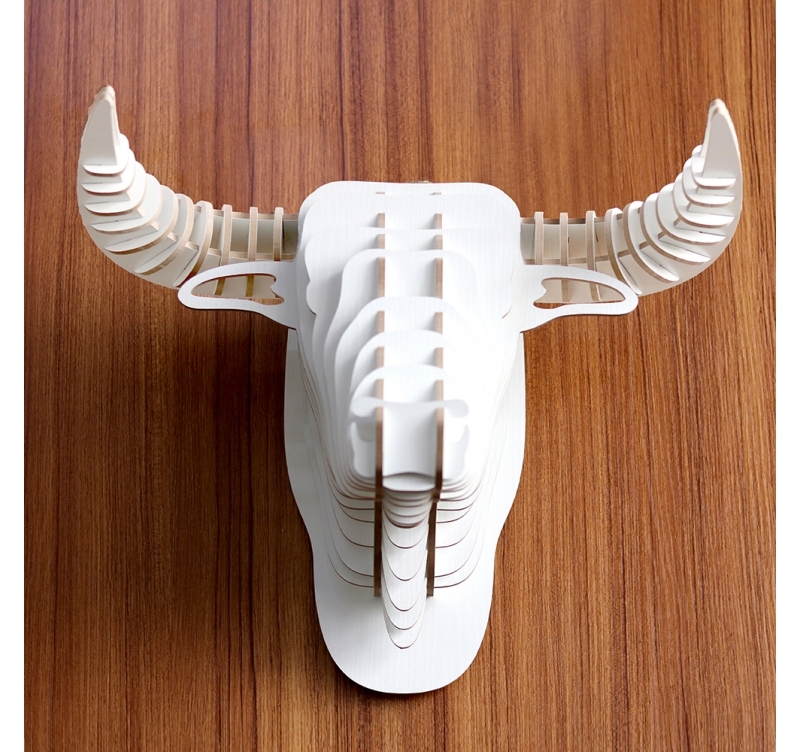 With solid horns this ruminant animal will be a total change in your interior thanks to this design animal head decoration. 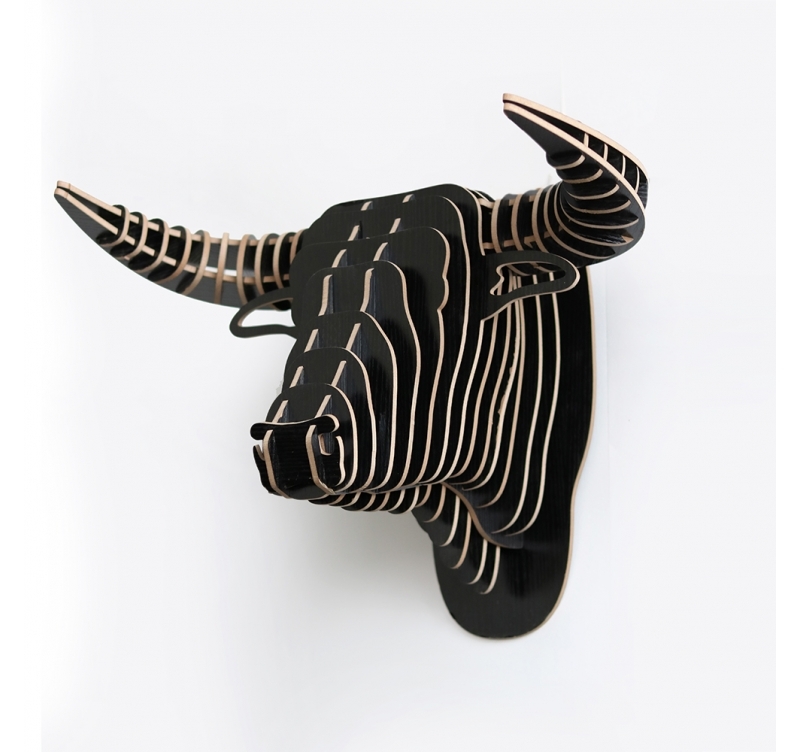 This buffalo wall decoration is delivered in its Artwall and Co personalised box free in metropolitan France and Belgium. 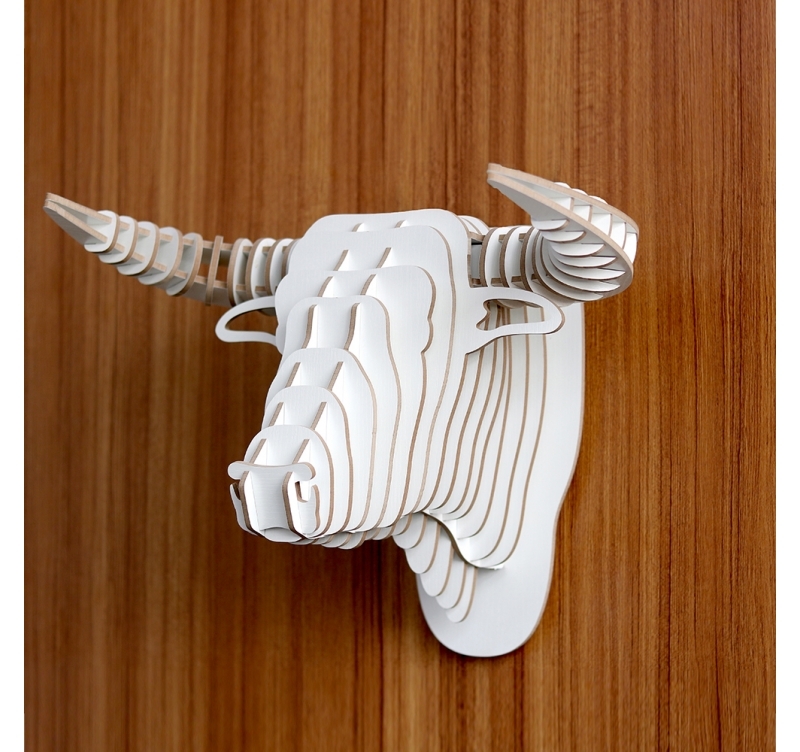 The kit of this buffalo wall trophy is easily put together and has an integrated hanging system.